I thought I had seen it all. Thanks to Youtube and DSquared2, I now know that I haven’t. This very insane and unique video with Jasmine Tookes and Cara D. bring the cray-cray. Shot by the mad genius Senio Zapruder, this video not only has some of the most gorgeous pre-fall 2013 womenswear, but walks the fine line of insanity. Way to go boys, you did it again. And the full collection is featured below. After covering Chanel and giving the classic side of fashion for fall, it seemed appropriate to give you ladies and gents an eyeful of Fall madness as well. 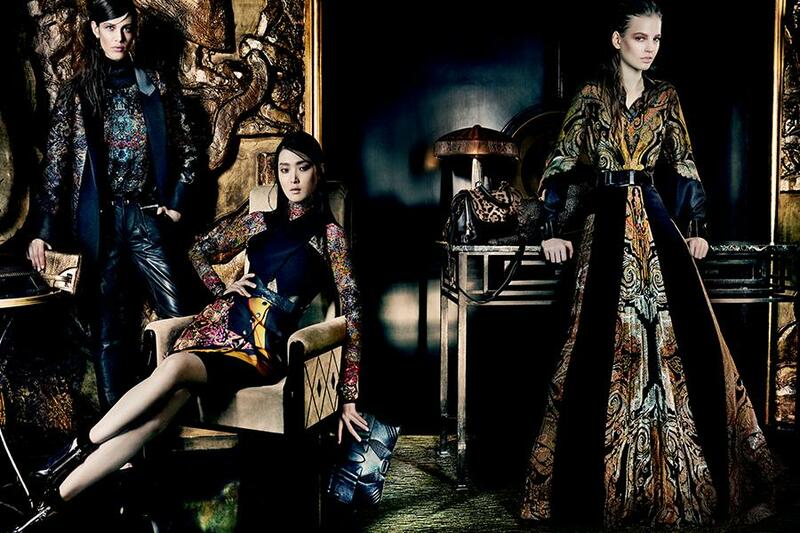 The ETRO label has always had an eye for creativity in design. Giving us a taste of their brilliance for fall, their designs encompass color and print with angular edges and futuristic diva-tude. They are all about flair and dare and leave the conventional behind. Helmed by Gimmo Etro, who started the label in 1968, these designs are an alternative to the sullen colors of fall we often see. Think of ETRO as the cure to all your fall blues, scarlet’s and blacks. Think you can embrace the insanity? ETRO does too. Check out the runway below.